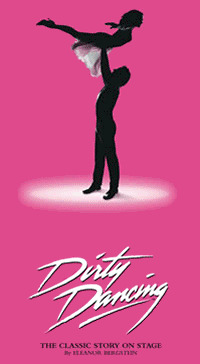 The cast has just been announced for the new tour of Dirty Dancing which opens at the Blackpool Opera House in August. Lewis Griffiths will star as ‘Johnny Castle’, he has most recently played ‘Nick Massi’ on the UK tour of Jersey Boys. Other roles in UK tours include Ghost and Legally Blonde, and West End credits include Priscilla Queen of the Desert, Rent and Whistle Down the Wind. Katie Hartland will make her professional musical theatre debut as she takes on the role of ‘Baby Houseman’, having graduated from the Royal Central School of Speech and Drama in 2015. Carlie Milner will play ‘Penny Johnson’. starting out as a member of the ensemble in 2014, she covered and subsequently took over the role of ‘Penny’ in 2015. Julian Harries is Jake Houseman, Simone Craddock is Marjorie Houseman, Roger Martin is Max Kellerman, Jo Servi/Tito Suarez, Lizzie Ottley/Lisa Houseman, Michael Kent/Billy Kostecki with Greg Fossard/Neil Kellerman Tony Stansfield/Mr Schumacher, and Daniela Dobega/Elizabeth. Also joining the company are Gabby Antrobus, Imogen Brooke, Simon Campbell, Robert Colvin, Katie Eccles, Beth Highsted, Megan Louch, Ashley Rumble, Callum Sterling, Austin Wilks and Karl James Wilson.